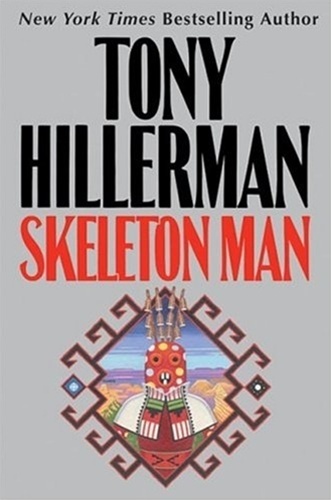 VJ Books Presents Author Tony Hillerman! 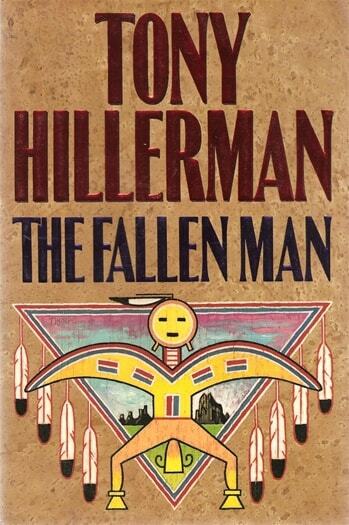 Tony Hillerman (May 27, 1925 _ October 26, 2008) was born in Sacred Heart, Oklahoma. 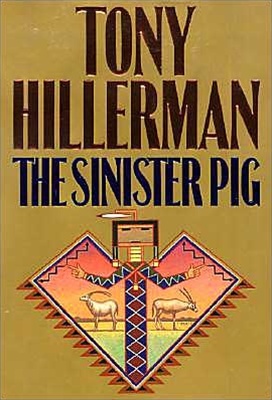 Hillerman was an award-winning American author of detective novels and non-fiction works best known for his Navajo Tribal Police mystery novels. He was a decorated combat veteran of World War II, serving from August 1943 to October 1945. From 1948_62, he worked as a journalist, then moved his family to Albuquerque, where he earned a master's degree from the University of New Mexico in 1966. 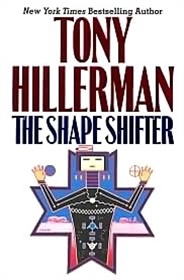 It was during his time as a writer for the Borger News-Herald in Borger, Texas that he became acquainted with the sheriff of Hutchinson County, the man upon whom he would pattern the main character in his Joe Leaphorn novels. He taught journalism from 1966 to 1987 at the University of New Mexico in Albuquerque, and also began writing novels. He lived there with his wife Marie until his death in 2008. Author Signed Hardcover Book. 1996 NY: Harper Collins First edition, first printing, mint, new/unread, flawless dust jacket, signed by author. Each dust jacket is protected in an acid-free archival quality acetate cover. Author Signed Hardcover Book. 1995 NY: HarperCollins Publishers First edition, first printing, mint, new/unread in a flawless dust jacket, signed by the author. Each dust jacket is protected in an acid-free archival quality acetate cover. Author Signed Hardcover Book. 1995 NY: HarperCollins Publishers First edition, first printing, fine in a fine dust jacket, signed by the author. Each dust jacket is protected in an acid-free archival quality acetate cover. Author Signed Hardcover Book. 1999 NY: HarperCollins Publishers First edition, first printing, near-fine in a near-fine dust jacket, signed by the author. Each dust jacket is protected in an acid-free archival quality acetate cover. Author Signed Hardcover Book. 1993 NY: HarperCollins First edition, first printing, fine in a fine dust jacket, signed by the author. Each dust jacket is protected in an acid-free archival quality acetate cover. Author Signed Hardcover Book. 2003 NY: HarperCollins First edition, first printing, mint, new/unread in a flawless dust jacket, signed by the author. Each dust jacket is protected in an acid-free archival quality acetate cover. 2004 NY: HarperCollins First edition, first printing, fine, without a dust jacket. Author Signed Hardcover Book. 2004 NY: HarperCollins Book Club Edition, mint, new/unread in a flawless dust jacket, signed by the author. Each dust jacket is protected in an acid-free archival quality acetate cover. Author Signed Hardcover Book. 2004 NY: HarperCollins First edition, first printing, mint, new/unread, flawless dust jacket, signed by author. Each dust jacket is protected in an acid-free archival quality acetate cover. Author Signed Hardcover Book. 2004 NY: HarperCollins Publishers First edition, first printing, fine in a fine dust jacket, signed by the author. Each dust jacket is protected in an acid-free archival quality acetate cover. Author Signed Hardcover Book. 1989 NY: HarperCollins First edition, first printing, mint, new/unread, flawless dust jacket, signed by author. Each dust jacket is protected in an acid-free archival quality acetate cover. Author Signed Hardcover Book. 1989 NY: HarperCollins First edition, first printing, fine in a n dust jacket, signed by author. Each dust jacket is protected in an acid-free archival quality acetate cover. 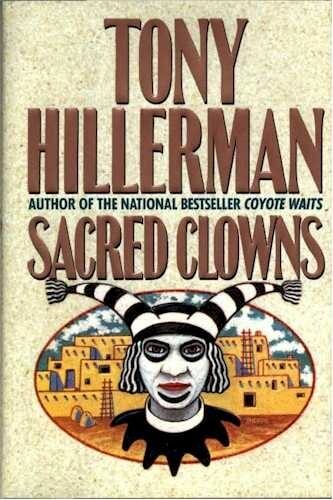 Skinwalkers - 1988 Anthony Award for "Best Novel"
A Thief of Time - 1989 Macavity Award for "Best Novel"
Owen Wister Award in 2008 for “Outstanding Contributions to the American West"